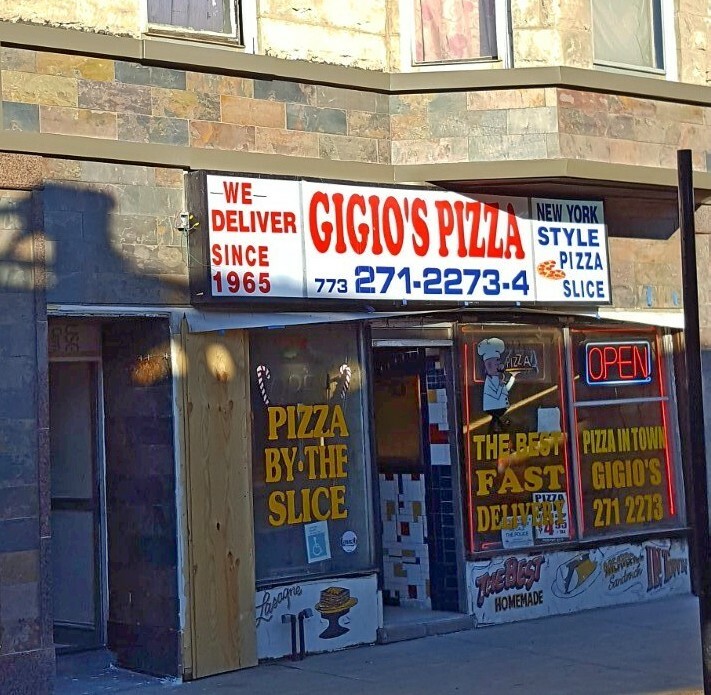 Gigio's Pizza, at 4643 North Broadway, is looking less like something from a 1960s time capsule. Thank you to reader JD for snapping the photo of the ongoing exterior work, which features really nice stone tiling in place of the bright yellow shingles. On Thursday, a couple of the display windows were in the process of being replaced, and even the doorway up to the apartments above is being spiffed up. Those of you who like nostalgia will be relieved to know that the interior remains unchanged (although it may be modernized sometime in the future, according to the owner). 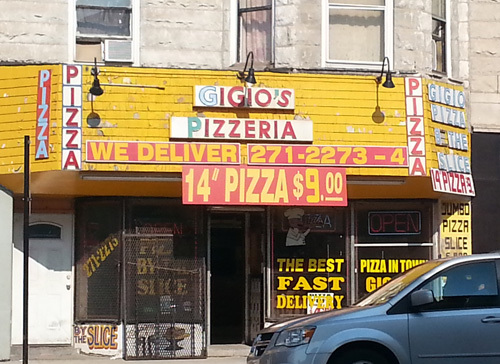 One thing that also hasn't changed, and we hope never does: two slices of pizza hanging over the sides of the paper plates and two soft drinks for less than nine bucks.